Along with success came the inevitable media coverage. Cameras and microphones were in Kurt Warner's face more than ever before. But what do you say with all the new attention? 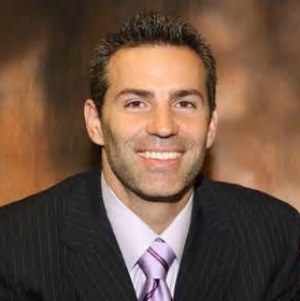 Some professional athletes use the publicity for self-glory, but Kurt Warner has a different topic on his mind. It's the message of Jesus Christ. Warner is a Christian who jumps at the chance to give God the credit for his ability to play football. Regarding football, Kurt Warner is in a different place today than he was seven years ago. Kurt Warner has seen the highs and lows of life in the NFL, and he says his faith, as well as the hardships and tragedies his family has faced, has helped him understand what truly is important in life. "I think it grounds me," Warner said. "Whether I'm on the field or off the field, I don't get anxious. I don't get nervous… Because I know that things are going to work out for me… I've learned that along the way there's going to be speed bumps. That it's not just going to be a smooth path. And I've learned how to react to those situations." Now retired from playing, the two-time NFL MVP Kurt Warner's goal remains the same...to set an example for those athletes who know Christ as their personal Savior. He encourages them to not hide their faith but to shout it from the roof tops, or on television! Kurt and Brenda Warner have seven children and reside in AZ. They are passionate advocates for life and strong supporters of adoption. "While his professional achievements alone are outstanding, Kurt's passion for helping others motivated everyone in the room, as evidenced by the overwhelming positive feedback we have received."